The 21 Stages of Meditation is a very useful book on Kundalini Yoga, written by Gurucharan S Khalsa. 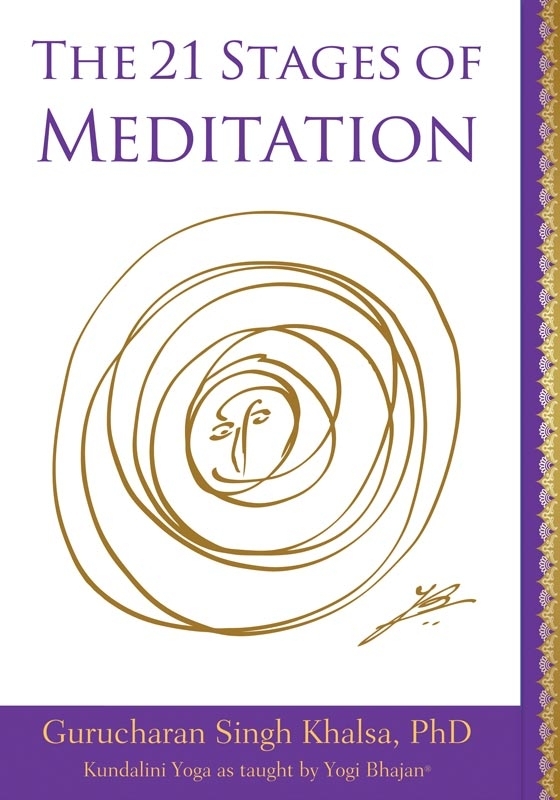 This book gives the explanation of each stage along with Yogi Bhajan`s drawing for each stage.These 21 Stages of Meditation is a key work in deepening your understanding and experience of meditation. It also clarifies the process and outlines the steps toward your own progress in meditation.